Maggie Maguire's Garden is designed by Lenora Jenkins. The completed quilt measures 81.5 inches wide x 78 inches high. 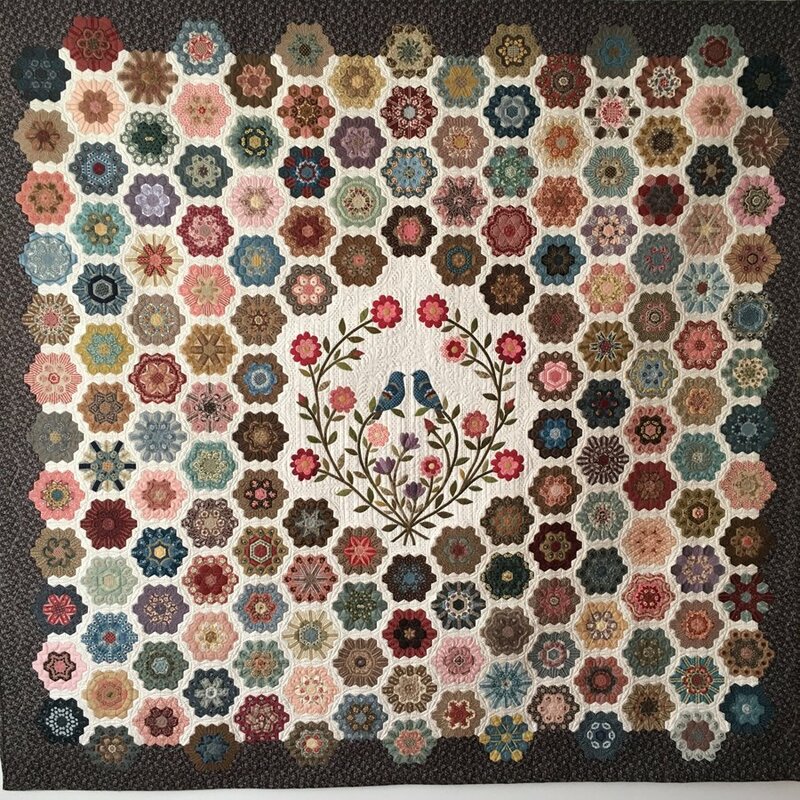 Made with the English Paper Piecing method, the quilt has 168 hexagon flowers which are joined with a cream hexagon footpath. The centre of the quilt has an appliqué design featuring two birds amongst an array of flowers. The pattern contains full instructions for completing the quilt, instructions on how to English Paper Piece, instructions on appliqué and also explained is how to fussy cut fabric for the hexagon flowers. A coloured A3 sized page showing photographs of various hexagons is included with the pattern as well as the full sized appliqué design page.